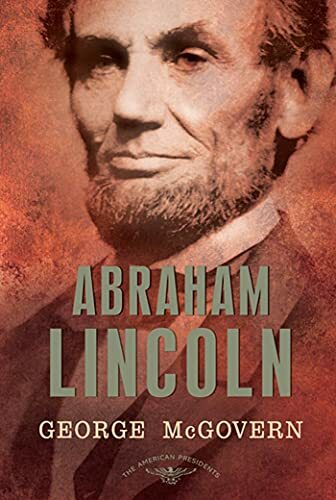 Publisher: Times Books, New York, New York, U.S.A.
Abraham Lincoln towers above the others who have held the office of president―the icon of greatness, the pillar of strength whose words bound up the nation's wounds. His presidency is the hinge on which American history pivots, the time when the young republic collapsed of its own contradictions and a new birth of freedom, sanctified by blood, created the United States we know today. His story has been told many times, but never by a man who himself sought the office of president and contemplated the awesome responsibilities that come with it. George S. McGovern―a Midwesterner, former U.S. senator, presidential candidate, veteran, and historian by training―offers his unique insight into our sixteenth president. He shows how Lincoln sometimes went astray, particularly in his restrictions on civil liberties, but also how he adjusted his sights and transformed the Civil War from a political dispute to a moral crusade. McGovern's account reminds us why we hold Lincoln in such esteem and why he remains the standard by which all of his successors are measured. George S. McGovern represented South Dakota in the United States Senate from 1963 to 1981 and was the Democratic nominee for president in 1972. He was a decorated bomber pilot in World War II, after which he earned his Ph.D. in American history and government at Northwestern University. He was also a recipient of the Presidential Medal of Freedom.